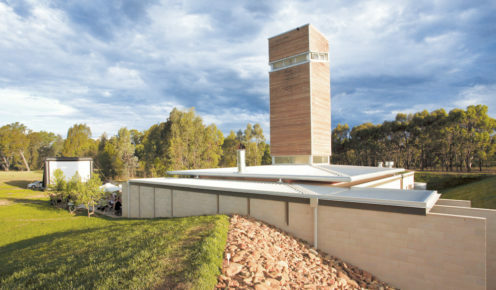 The striking tower of Sam Miranda's cellar allows light into the tasting room. Cellar door-hopping is as much about finding little gems down dusty roads as it is making the rounds to the big hitters. But usually there’s the one winery that deserves a little more lingering. We’ve compiled our favourite spots that offer more than just great drops with architecture worth admiring and history to discover. Drop a pin at these locations when you’re next in the region. Established by the Seppelt family in 1851, who migrated from Poland, Seppeltsfield is one of the most historic wineries in the region. It’s a veritable theme park for oenophiles, peppered with historic buildings, cellars and beautiful gardens. In contrast to the rich history, the relatively new, architecturally considered cellar door is all sleek lines and cosy tasting alcoves where you can also sample fortifieds and canapés. 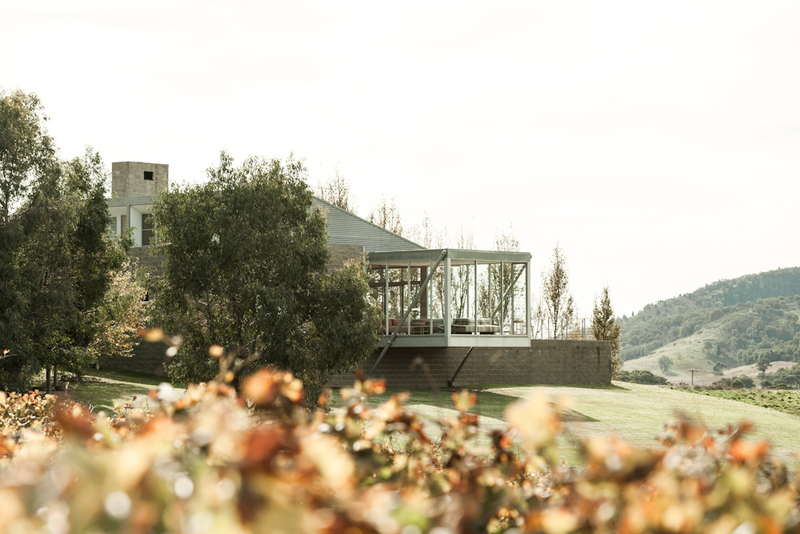 With its barrel-like protrusions, the bold design of Levantine Hill hints at what you might find inside. The minimalist, Danish-esque lines of the cellar door would seem colder than the nearby stream, but warm woods and good drops create a cosy vibe. 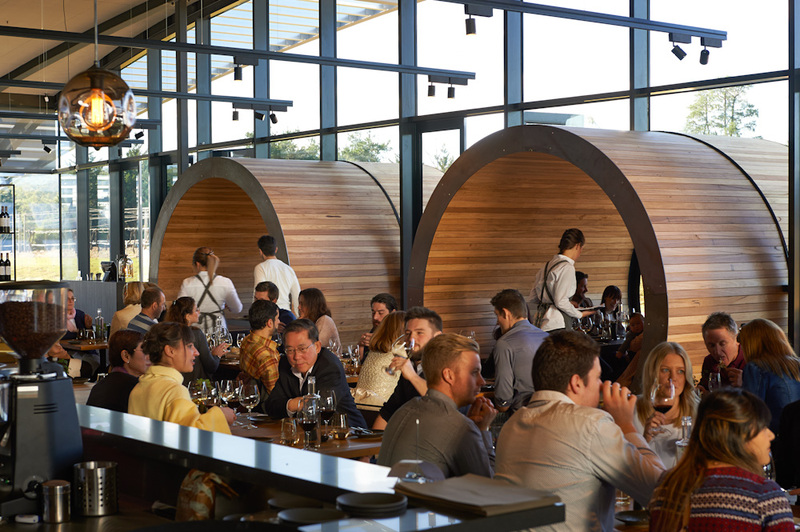 Inside, you’ll find ezard @ Levantine Hill, two dining spaces by hatted chef Teage Ezard. Established relatively recently in 1997, Logan is a relative spring chicken on the scene. Set in the NSW Central Ranges, the estate is worth a visit not only for its excellent, fresh and vibrant wines, but for the chance to spend a few wine-filled hours at its beautiful cellar door. 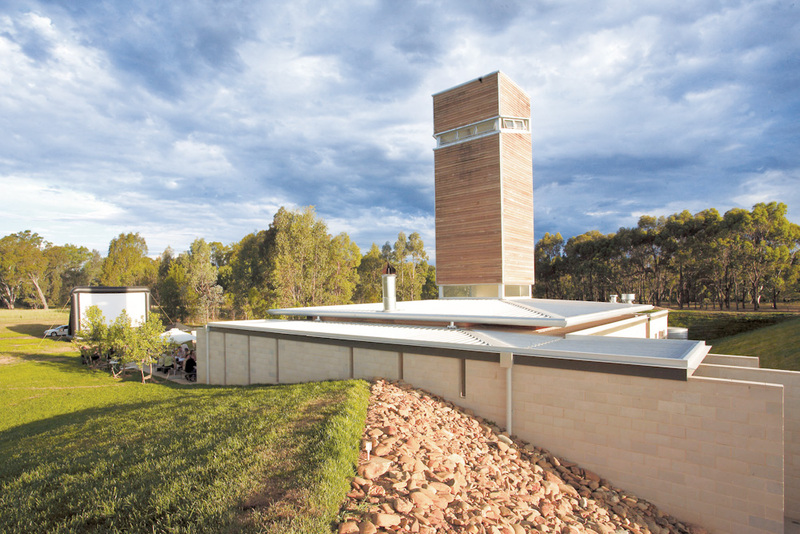 Large glass windows look down a sweeping green paddock and out to Apple Tree Flat below and a bucolic Mudgee vista. There’s also a lovely, sun-drenched terrace where you can lose time sipping on sweet, sweet vino. This cellar door could easily pass as an art gallery with its sweeping roof and rammed limestone walls, but inside the works to be appreciated are to be found in casks. Stay at one of the six stylish guest suites on the Port Phillip Estate property while you’re taking it all in. Presiding over the Sam Miranda estate like a bishop on a chess board is a light tower that beams rays into its tasting room below. Access is by a subterranean passage that creates the sense of being in the depths of the Earth, immersing visitors in the act of swilling wine. After a round of tasting, enjoy lunch at the Italian-influenced restaurant with rib-sticking dishes such as house-made pork sausages and duck and porcini ragu.